It could be my beloved husband will come up with a vintage shopping ban for yours truly in a very nearby future. 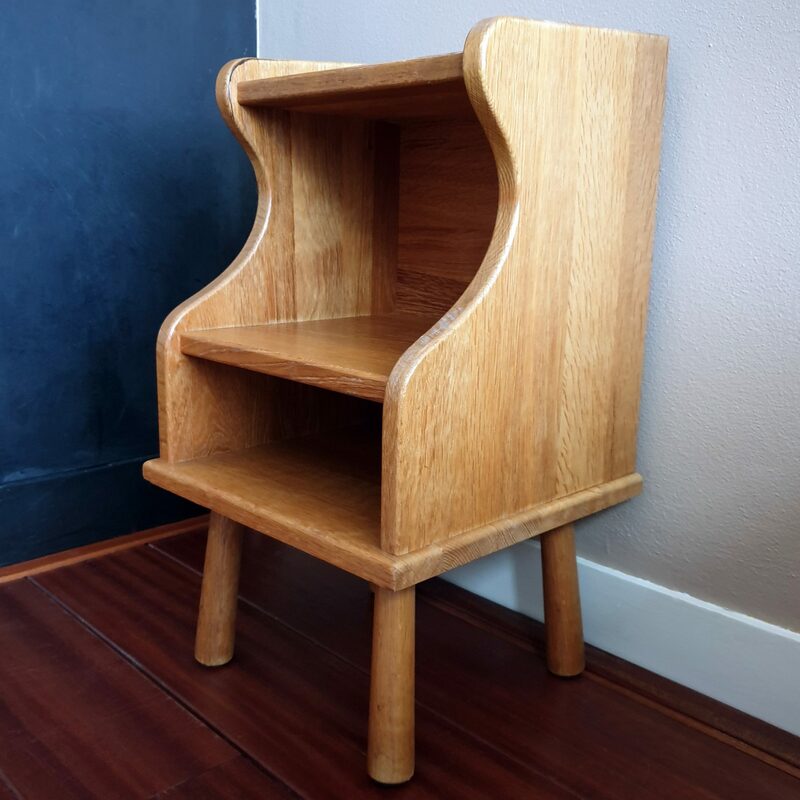 Cause today when heading for the grocery store I did a tat of a detour to a vintage shop and picked up this tiny curvy solid oak nightstand kind of thing. What can I say, it spoke to me: please take me with you. And here’s the thing. I love solid heavy oak pieces. I don’t care if they are in our out of fashion. There’s something about them that attracts me. And this I will either sandpaper down and then finish of using some kind of oil. Or god forbid I will just paint it into something off white. But for now I just leave it be and see if I can read the stamp in the bottom and try to figure out its origin.